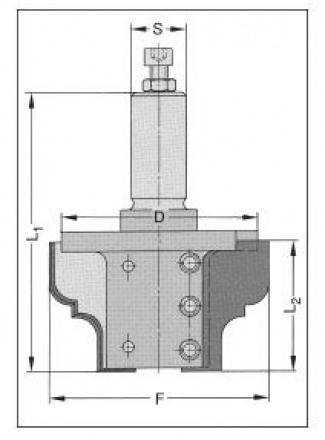 Designed to produce various profiles using single-sided inserts and support plates, this tool is very versatile and a great option for short production runs. The inserts are designed to accommodate any profile that fits within the profiling area of the insert knife. The insert is supported by a steel backer plate. A change in profile needed? No problem, simply order new inserts and backer plates and you are ready to run! 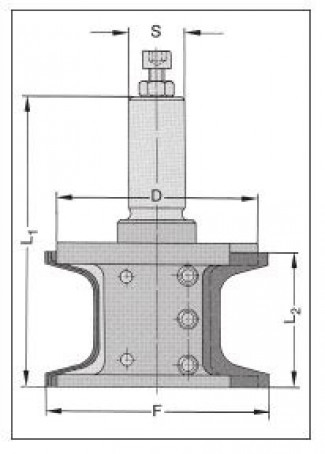 Designed to produce various profiles using single-sided inserts and support plates. Same versatility as the router bit above, except this one is more suitable for edge profiles. 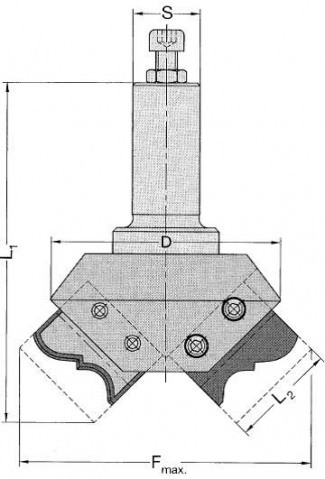 This router bit is designed for inside, bottom cutting profiles. Right-hand rotation. Body supplied without inserts and support plates. Left-hand rotation available upon request. This cutter is designed to produce various profiles using single-sided inserts and support plates on a 45° angle. 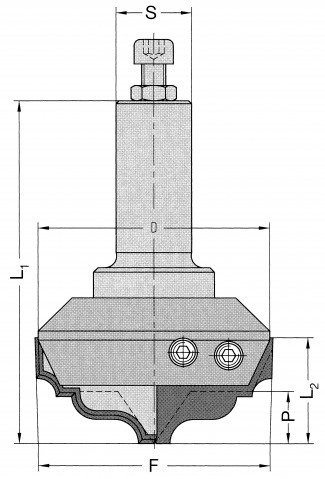 The 45° position allows for deeper profiles. Body supplied without inserts and support plates. Left-hand rotation available upon request.